*SANDY SANDY ART*: Are Raccoons Rabid If Out In Daylight? Snowflake has been around The Sandarosa for about eight years now. She's been visiting our bird feeders earlier and earlier in the day lately. I'm sure she has a nest of hungry babies to feed. 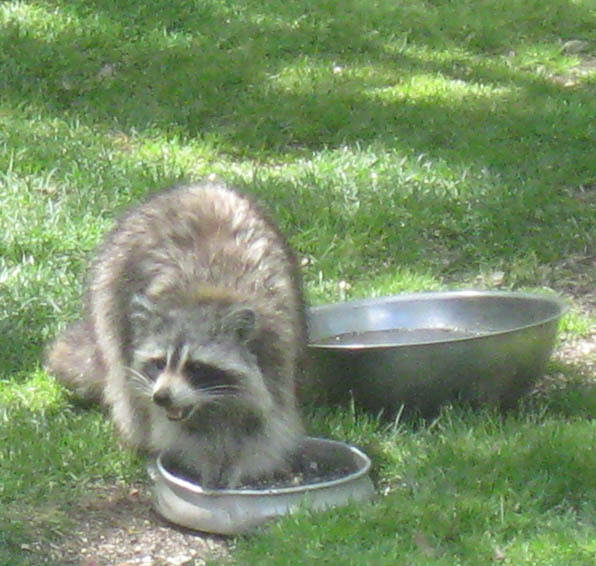 Mother raccoons and foxes regurgitate food for their offfspring, so they get fairly brazen and are commonly out during daylight hours at this time of the year. As the nest gets tighter, the youngsters get more demanding. Any raccoon or fox you see in the daytime is NOT rabid. If the animal is acting fairly normal, there is most likely nothing to worry about. If you see an animal approaching people in an aggressive way, acting drunk or savage, it's time to call the authorities. Here's a fuzzy photo of the old momma girl through the kitchen window with my trusty pocket camera. We are leaving a bowl of bird seed on the ground, or she climbs up the pole and reeks havic with all the bird feeders. 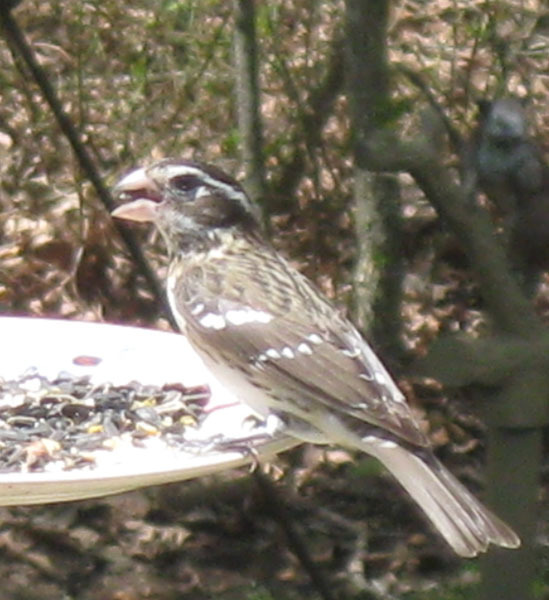 I also saw the Rose-breasted Grosbeaks' mate today. Very plain, but I think she's beautiful in her own way, don't you? 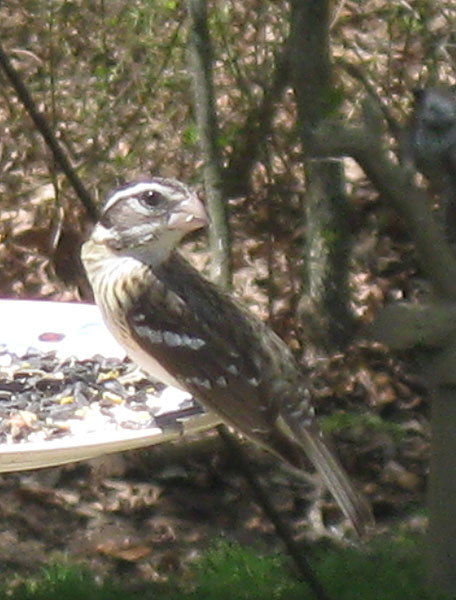 Never seen the female r-b grosbeak. Great photo!